The Mazda 6 Sport is the most amazing car ever and fantastic value for money. The handling is great as is the cost of ownership. The look of the Mazda 6 is also great. The handling is very much sporting but you also have a real family car and is great fun to drive. 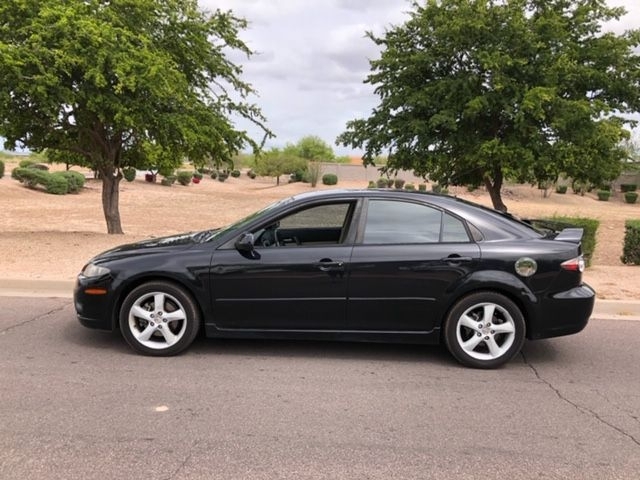 Sorry, we couldn't find any 2006 Mazda MAZDA6 listings that matched your search criteria. Avg. Dealer Rating: (11 reviews) "No problem"
Avg. Dealer Rating: (22 reviews) "Multiple people called me, many times"
Avg. Dealer Rating: (22 reviews) "Fast response, friendly "
Avg. Dealer Rating: (20 reviews) "The man that answered was very rude and not at all helpful. When I asked to speak with someone in sales he hung up on me. Very unprofessional"
Avg. Dealer Rating: (28 reviews) "Steer clear! Like the others said: they lied on the phone, saying they still had the vehicle, when it was actually sold. (It's been on CarGurus for six months. The last price decrease was 5 months ago and it probably sold shortly thereafter.) They had nothing on the lot we were interested in. If you live nearby, it might be worth checking out their stock. But if you have to drive a ways, forget it. You will probably be wasting your time. Not inclined to work with a dishonest dealer, even if they had what we wanted." Avg. Dealer Rating: (6 reviews) "Did a good job. I bought a vehicle there "
Avg. Dealer Rating: (34 reviews) "Very kind people." Avg. Dealer Rating: (3 reviews) "Dealer was quick in his response "
Avg. Dealer Rating: (2 reviews) "After contacting me, they left information saying the car had an idling problem. After that they never said whether they fixed it, or decided not to sell it." Avg. Dealer Rating: (10 reviews) "Went to visit the dealer. Looked at the car. Liked it too. Looked at the car fax as well. Spoke to the dealer and he said over the phone 4995.00 all inclusive, including warranty. Went there and wanted to get the car checked out, pre purchase inspection as anyone would want to do. He did not want to work with us. Then in the middle of our negotiation he asked for the key for someone else to test drive the car, in the midst of our negotiations. "Super weirdness", but maybe somehow, someway it is his designated culture? Then he told me he was not going to bargain. Even though he said negotiable it was not. Then we discovered that the power steering reservoir was completely dry, and there was gunk around that area too. We pointed this out to him and he simply ignored and blew it off. then he raised the overall price to $5400.00. Myself and my wife rented a car and drove 1.5 hours to him. If he shows back peddling this far in could moving forward be a nightmare? You decide. " Avg. Dealer Rating: (35 reviews) "The car was listed as : "IN MINT CONDITION" I talked on the phone with the Mgr., texted back and forth to work out a final deal and arranged to drive from Lou. Ky to Chicago to pick up the car with a Cashier's check using a rental car that I was going to drop in Illinois. In the pic's the vehicle looked perfect. The white leather is dingy brown, the entire car has scratches, marks and dings all over it, the engine has either a rod knocking or piston slap, very easy to hear. I asked the owner to go to the car and give me a report on the condition, he said: 1 owner, low mileage, nothing wrong except the windshield washer fluid light is on. I drove over 10 hours as a result of this and spent well over 200.00 trying to do a decent deal. When I told him I wouldn't take it, he didn't blink. He didn't care that he had cost me time and money to come see a car in such poor condition. BUYER BEWARE. He sounds nice, works with you, but only wants your $$$." Avg. Dealer Rating: (19 reviews) "I was contacted, but, I have a discharged bankruptcy. I know I can't get that car for that price. It will be about rageous in test rate."